AAID were appointed to provide a Concept and Schematic design proposal for the new Coty offices as the Dubai World Trade Center in his new LEED commercial office development. Pallavi Dean’s brief was to create a unique design approach for Mrs B. Salon – one that stands out and aids with the branding of the overall space. 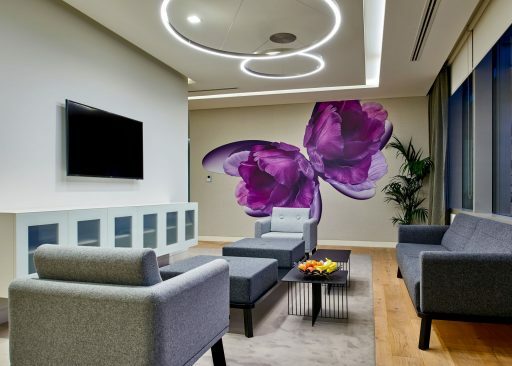 One of the world’s most up-and-coming jewellery brands, Pandora, reached out to XWorks Interiors for the design of their regional head quarters. This hair spa is adorned with character, acknowledging the original building’s residential past through a carefully curated sequence of spaces. Adidas engaged Perkins+Will to design their new offices as a community that embodies Adidas’ values, while also giving new life to brand identity, and providing new amenities for employees.